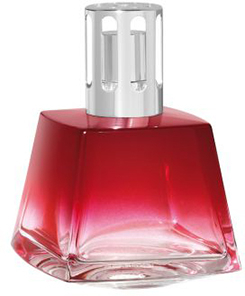 The new Lampe Berger Polygon lamps with their unique geometric design and ultra glossy opaque lacquer are shaded downwards from the top to reveal the base of the lamp and highlight the thickness of the glass. The lamp comes in a nice gift box with burner, funnel and instructions. This is a beautiful lamp at a good price.